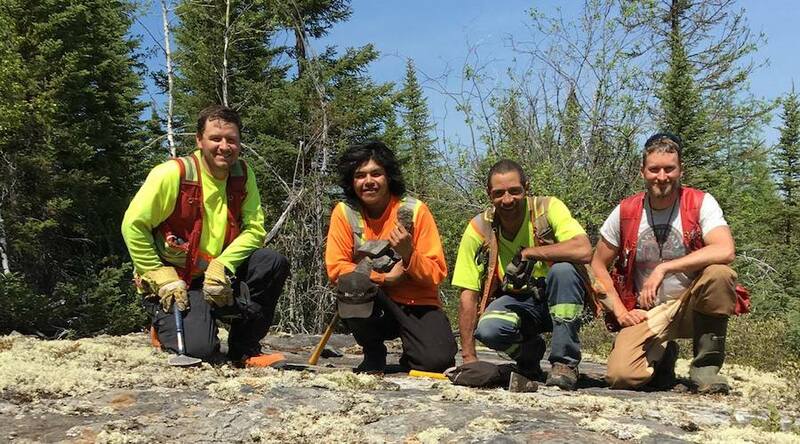 The Noront exploration team in the Ring of Fire. Photo by Noront. Toronto-based Noront Resources (TSXV:NOT) has started discussions with gold producers in Canada and elsewhere with the idea of striking a joint partnership to explore for gold. Interviewed by the Financial Post, Noront CEO Alan Coutts said that the move is necessary as the company continues to lead exploration in Ontario’s massive Ring of Fire, located 540 kilometres northeast of Thunder Bay. The 4,000-square-kilometre chromite-rich-area is home to an estimated $60 billion worth of mineral deposits but the region lacks highways, rail lines or reliable power. According to Coutts, a road to transport base metals could take a minimum of five years to build so in the meantime and following a gold discovery in the area, the junior miner wants the expertise of a senior firm to back its exploration efforts for the yellow metal, whose value justifies it being transported from such a remote location. “It’s the right rocks, the right age, but we just really haven’t got around to dealing with the gold, so we’re looking for a partner,” the executive told the Post.